What if Hendrix had had a VegaTrem?? 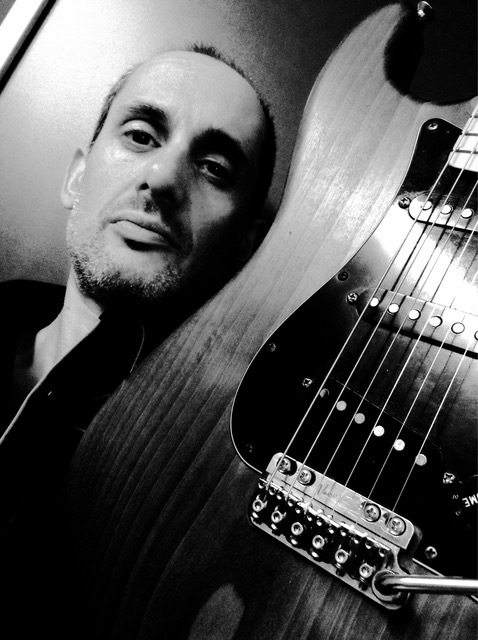 Julián Kanevsky is a guitarist who has collaborated with artists such as Andrés Calamaro, Steven Adler (Guns’n Roses), Alejo Stivel (Tequila) and Coti Sorokin. Among his recent projects include his recent solo album “Coronado” and the return of Tequila. I really enjoy watching Hendrix the Youtube. But I cannot help but pull my hair (the few that remain), when he gives a little snort and continues stoically with his song as if nothing happened (example; the end of the VOODOO CHILE solo in Sweden 1969) … it goes without saying I forgive this man everything, a true revolutionary … but what if I had a tuner? … or a VEGATREM ?? Anyway, I do not want to seem proud, JIMI is the closest thing to a God I know. There is no perfect tuning!!. The ROCK and the BLUES allows us to be less demanding than other styles in this aspect … but the more tuned we play, the BETTER! The truth is that I have not tried all the bridges designed to improve the STRATOCASTER, but the experience I do have is that even though many of them do improve the tuning, the sound always gets worse. The third point is the aesthetic, but for me it occupies it is not so important. Not even the FENDER was able to improve the bridge designed by LEO. What we ended up doing most of the guitarists was tighten all five springs, and enjoy the extra body we gained by having the bridge well attached to the body … but it is not the same. The sound was what most caught my attention. I was quite bias before Isaac installed the bridge on my Strat. The VEGATREM sounds practically the same as the bridge designed by LEO. For the record, I am referring to the 6-bolt FENDER bridge, the 2-bolt bridge destroys the tone of the Strat in my opinion. The VEGATREM is extremely comfortable and sensitive. It weighs less than the “6 screws” and is very respectful with the aesthetics. The tuning with a tremolo will never be as solid as that of a fixed bridge, but in this case it is closer than ever. It has a wonderful quality: it has a third screw in each saddle to block the height. The song that I play in the video is called CORONADO, and it belongs to my second album. I used a very tuning Strat ’79 with a custom body of Ash ultra light oil finish (without varnish). The gouge of the strings that I use in this guitar are 0.12 -0.54 in Eb with standard tuning. The amp is a TREMOLUX ’63 to 10 volume WITHOUT PEDALS. The speaker is a 200W ELECTRO VOICE CLASSIC. Recorded with a BEYER M-160 microphone directly to an APOGEE channel … nothing else. The guitar track only has a high pass at 200HZ. There are no compressors, no reverb, no delay … there is not even a preview that colours the microphone. The sound is totally raw … I’m delighted.